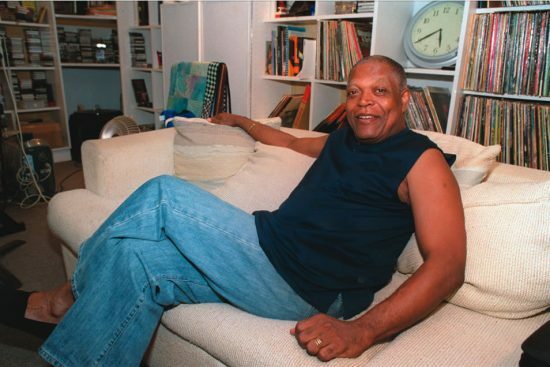 The inner sanctum of Billy Hart’s Montclair, N.J. home is a basement music studio that serves as a combination listening room, recreation room and classroom for visiting music students. “This is it,” Hart says, referring as much to his life as he is to the contents of the room. The walls are lined with built-in bookshelves, each section carrying a different medium. One holds albums, another cassettes. CDs occupy a bulky binder. Some drawers by his television, VCR and DVD player are filled with sheet music. There are pool and foosball tables down there as well, but they are surrounded by drum kits in various states of set-up for Hart’s students to use. Recalling a line he said that Bird used when asked his religion, Hart notes, “Like Charlie Parker said…I’m a devout musician. And I’m afraid that’s it.” Consequently, “I’m not home very much,” says Hart. The Washington, D.C. native says it seemed like only yesterday that he was studying mechanical engineering at Howard University, coming home from baseball practice and pondering whether music would take him from the sport. “Forty years. On the road. One band after another. Jimmy Smith’s band: three years. Herbie Hancock’s band: three years. McCoy Tyner’s band: two years. It just goes on. Wes Montgomery: two years. Eddie Harris: two years. Stan Getz: four years. But when that stopped, I just continued. As we speak, I’m in two Austrian bands, a Swiss band, a British band, an Italian band,” he says. “Except with the addition of the fact that I’m now an adjunct professor at five universities. So even when I’m in the country, which isn’t often, I’m on a plane going to one of these universities. Hart said that gigs seem to intertwine, with sideman duties on one musician’s album leading to similar work with someone else from the same band. He estimated that he has made more than 600 recordings and still makes “two or three records a month.” One of the latest is Quartet on HighNote, featuring saxophonist Mark Turner, pianist Ethan Iverson and bassist Ben Street. It is the eighth album under Hart’s name, an indication of just how busy he is contributing to everyone else’s projects. “I wish I had an answer about ‘What do you do?’ I don’t do anything. I study. I’m either studying for classes that I’m going to teach or I’m studying for a project that I’m involved in,” he says, opening a nearby drawer full of envelopes crammed with sheet music. He goes through a few, ticking off the names. Billy Hart’s home looks like most others off Montclair’s main street of Bloomfield Avenue, a multistory, circa-1920s wood-frame structure with a small front yard and a narrow driveway on the side, except for the exterior color scheme of lavender and purple, which seems to scream “alternative lifestyle” and makes the house leap out from the rest of the block. He credits his wife and daughter with the decision and a handyman-painter with the execution of vision. The women of the household are also responsible for the eye-high sunflowers that line the front walk.